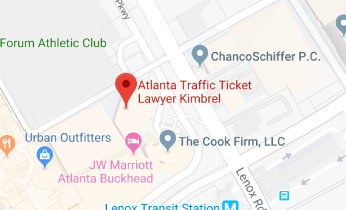 The Kimbrel Law Firm specializes in fighting traffic tickets and related violations. We have a 99% success rate. 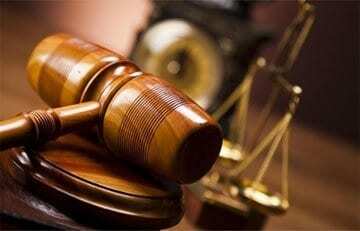 Our attorneys attend traffic court regularly throughout metro Atlanta. 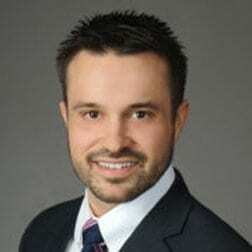 Clayton Kimbrel is a graduate of Atlanta’s John Marshall Law School and is licensed to try cases in the Georgia Court of Appeals and the Georgia Supreme Court. Clayton also participated in an externship in the Clerks’s office at the Superior Court of Guam. While under Judge Arthur Barcinas, Clayton penned an order regarding voluntary dismissal and the filing of amended complaints, which became law in Guam. Clayton moved into the world of private practice after performing real estate closings on refinances for a local real estate firm. Clayton is a tireless advocate for his clients. He gives each client his undivided attention and prepares thoroughly for each case. In addition to traffic ticket defense cases, Clayton also handles personal injury matters. Laura James received her Bachelor’s Degree in in Social Work from Virginia Commonwealth University in 1996. Laura is a graduate of Atlanta’s John Marshall Law School, where she graduated in the top 10% of her law school class. Laura received the Atlanta Bar Association Labor and Employment Law Section Student Scholar Award as well as the CALI Excellence for the Future Award in both Employment Law and Consumer Law. Laura was admitted to the Georgia State Bar and sworn in to the Court of Appeals and the Supreme Court of Georgia in 2012. 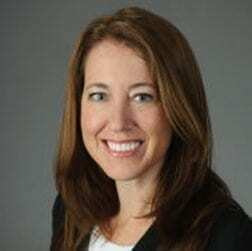 Laura is an experienced negotiator and uses her experience to obtain fair settlements on behalf of her clients. Laura represents people charged with traffic violations in courtrooms throughout the metro Atlanta area. Prior to attending law school, Laura worked in the property and casualty insurance industry for 10 years. During this time, Laura earned the prestigious CPCU designation. GA lawyer for help with speeding tickets Have you recently received a traffic ticket? You need legal help sooner rather than later. Don’t blow off your ticket. Don’t pay your ticket without getting advice first. The consequences may haunt you for years. When you’re pulled over by the police or when you have received a traffic ticket, it’s tempting to simply pay off the ticket and move on with your life. This can be a big mistake. 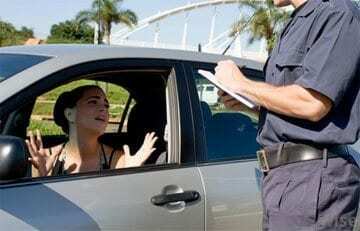 Retaining an Atlanta traffic ticket lawyer is strongly recommended. If you’ve recently received a traffic ticket in Fulton County or Atlanta or elsewhere in Georgia, get help immediately. Your initial reaction may be to pay the ticket, admit your guilt, and move on. Do you know the current status of your driving record, though? You may have already accumulated enough points on your driving record. If you’re close to fifteen points, pleading “nolo” on a new charge that pushes you over the limit could lead to a suspended license shortly after your court date. In addition, your insurance company is not so much concerned with the points on your record as the actual driving offenses. Your insurance company will also treat your “nolo” pleas the same as a guilty plea, meaning they may hike your rates for even just a few points on your driving record. This is why you need to know what’s currently on your record. Knowing where you stand can help you make an informed decision if you’re facing new traffic violations. Lawyer for help with traffic violations in Georgia. If you try to speed through a yellow light, you could be facing a traffic ticket for running a red light. It can be difficult to dispute any situation in Fulton County or Atlanta in which you are accused of running a red light with a red light camera. If I Still Have to Pay My Fine, Why Do I Need to Hire an Attorney? Traffic Ticket Lawyer. 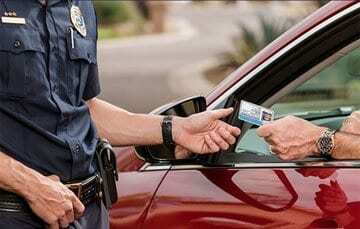 There are many legal issues associated with a traffic ticket. Your attorney may help you identify these. The citation might have a mistake on it and simply paying it could cost you in the long run. Should I just Pay My Atlanta Traffic Ticket and Avoid the Trouble? What If I Fail to Appear in Court for a Traffic Charge? Does it Ever Make Sense to Transfer Cases to Higher Court? You do not have to meet with us at our office. We handle most clients’ ticket issues over the phone. And in many cases, you do not have to appear in court. Alpharetta, Atkinson, Atlanta, Banks, Bibb, Bleckley, Brantley, Brookhaven, Brunswick, Bryan, Bulloch, Butts, Camden, Candler, Carroll, Catoosa, Chamblee, Clarkston, Cobb, Coffee, Columbia, Cook, Decatur, DeKalb, Doraville, Duluth, Dunwoody, Ecols, Evans, Fulton, Glynn, Gordon, Green, Gwinnett, Harralson, Harris, Hart, Jefferson, Johns Creek, Jonesboro, Kennesaw, Lamar, Laurens, Lawerenceville, Liberty, Long, Lowndes, Marietta, McDuffie, Monrow, Murray, Norcross, Putnam, Richmond, Riverdale, Roswell, Sandy Springs, Screven, Smyrna, Snellville, Soperton, Statesboro, Suwanee, Talbot, Telfair, Tift, Treutlen, Twiggs, Vidalia, Vinings, Wayne, Wheeler.